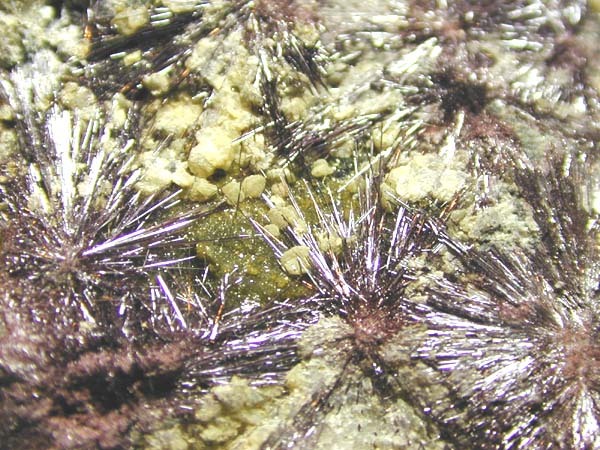 Material Kermesite Needles on Matrix. Origin Alexander Mine, Mt. Kolarsky, Pezinok, Bratislava Region, Slovakia. 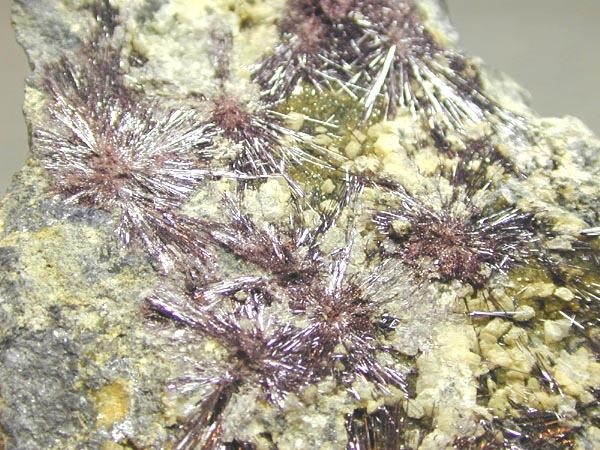 Description Fine, lustrous, deep ruby red radiating needles to 10mm in sprays lying across matrix with associated minerals. 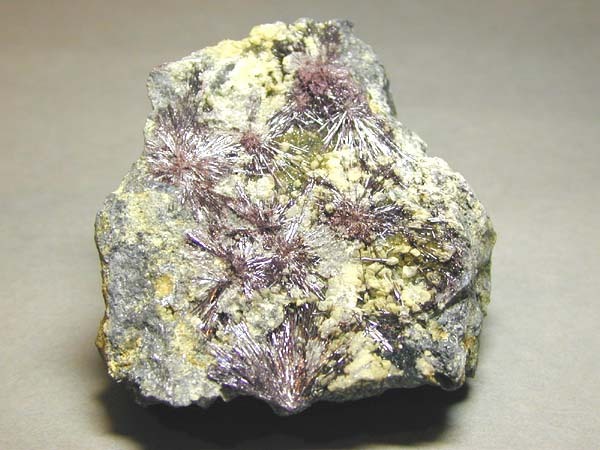 Fine example of quite a rare Mineral. Largest crystal 10mm to 12mm appx.